Pakistan Muslim League (N) is Pakistan’s leading political party of Pakistan. The party won majority of National Assembly seats in 2013 General Elections. The party emerged as the dominating party and formed government for next 5 years. PML (N) has strong hold in Punjab province, where it has huge vote bank in the constituencies of NA-76, NA-21, N-110, NA-116, NA-120, NA-117, NA-125 to name a few. PML (N) was led by Mian Nawaz Sharif earlier until he was disqualified by SC. The new President of Pakistan Muslim League (N) is Shahbaz Sharif, Chairman is Raja Zafar ul Haq, Spokesperson is Talal Chaudhry, and Secretary General is Ahsan Iqbal. PML (N) was founded in August 1988. PML (N) has successfully formed its government three times in the history of Pakistan Elections, respectively in year 1990, 1997, and 2013. 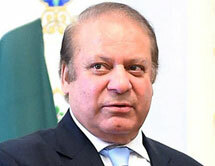 Nawaz Sharif, leader of PML (N) became for the third time Prime Minister of Pakistan for the first time in the history. This page offers you list of the national assembly seats won in the General Elections 2013. You can even check out the poll question and can participate online. It was Pakistan Muslim League, founded in 1962, as a successor to the previously disbanded Muslim League, and gained the (Nawaz) or (N) in 1993 for its leader, Nawaz Sharif. 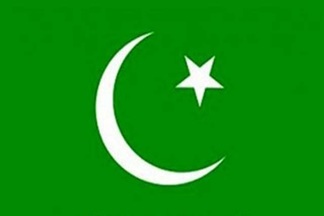 A Pakistan Muslim League (J) was formed in 1986. A Pakistan Muslim League (Q) split from it in 2001, and there are various other parties with similar names. Despite Musharraf's best efforts to put aside the party leaders in exile and others in jail,legislative elections on 20 October 2002, the party won 9.4% of the popular vote and 14 out of 272 elected members. House No 20-H streets 10, sector F-8/3 Islamabad.